CFD broker, how to recognise a good one? You are here: Home / Blog / Beginners / Basic trading terms / CFD broker, how to recognise a good one? Welcome to the final CFD course. In the first lesson I have explained what CFDs are and why they are a great investment tool. In the second lesson I have showed you on how you can make money on CFD trading and the third lesson I have explained you on how to calculate the cost and profit on CFD trading. In the last lesson I am going to give you some tips on how to recognise a good CFD broker. It’s of vital of importance that a CFD Broker must be licensed by the financial authorities. The reason for this that when a CFD broker has a license from a financial authorities you can be sure that the CFD broker is not a scam. For a CFD broker to get a license from the financial authorities is not easy and it is also very costly. So for a CFD broker to get a license that broker company must be organized well and have the financials to run the company. The importance reviews is that it gives you an insight what other people are experiencing using that CFD Broker. Reviews can give you that information that you were looking for your decision making process. Its always good to see what people like and what people dislike. One of the most important to check when choosing a broker is their withdraw and deposit policy. Most broker has a easy deposit policy but a tightened restrict policy on withdraw money. Make sure you understand them. I always check the profitability of a broker.This is not easy to find as many brokers are private companies. So sometimes when I asked for a balance they won’t give me. The reason I check profitability is to check if the broker has money. It’s important that a broker has money , so that when I withdraw my investment including the profit that I know for sure that I will get the money in my bank account. Plus500 is one of the few brokers that gives you a insight into their financials. For example last year Plus500 made a profit of $102.5 million Us dollars. What is a segregated account? A segregated account is a money account where the broker can’t touch your money. Your money is separated from the brokers firm money. In case a broker goes out of business, your money will be still safe and returned back to you. I hope these tips have helped you in choosing a good broker. After using these tips I end up trading at the Plus500 broker. If you are interested in opening a trading account at Plus500 feel free the click here: Open a trading account Plus500 or Open a free demo trading account. If you have any questions or suggestion feel free to comment in the comment box and we will reply to you in 24 hours. 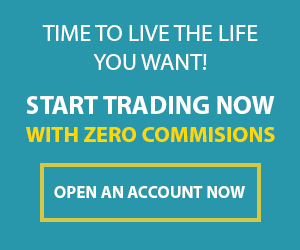 https://www.101trading.co.uk/wp-content/uploads/2015/10/CFD-trades2.jpg 333 500 Khanh https://101trading.co.uk/wp-content/uploads/2015/07/logo101trading2.png Khanh2015-11-03 15:40:062017-06-14 23:05:43CFD broker, how to recognise a good one? CFD trading cost: How to calculate it in simple steps Facebook share price forecast q3: Bullish or Bearish on?